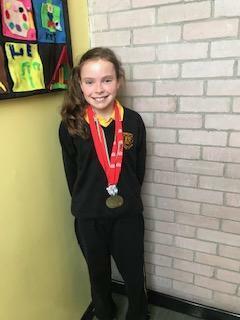 Congratulations to Grace Cochrane who had some great results at the Ards Christmas Gala. Grace won a silver medal in the 200 Individual Medley and 2 golds in the 200 and 100 Freestyle. Well done Grace!